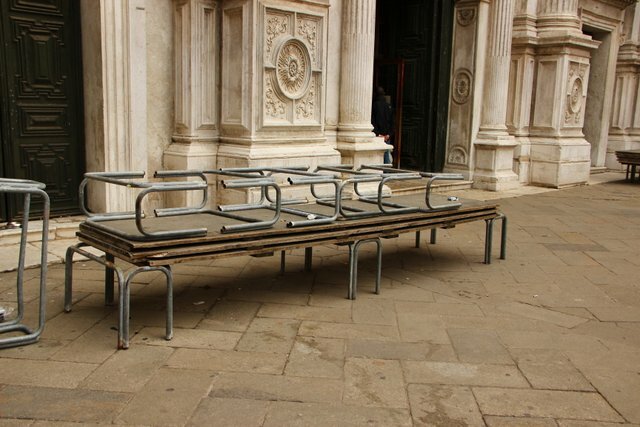 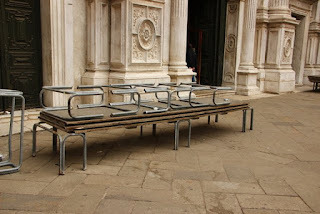 There were several things about Venice that surprised me. 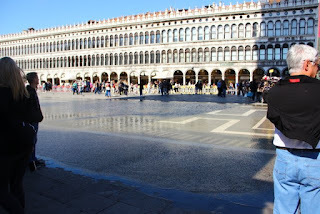 This water in St. Mark's Square was one. 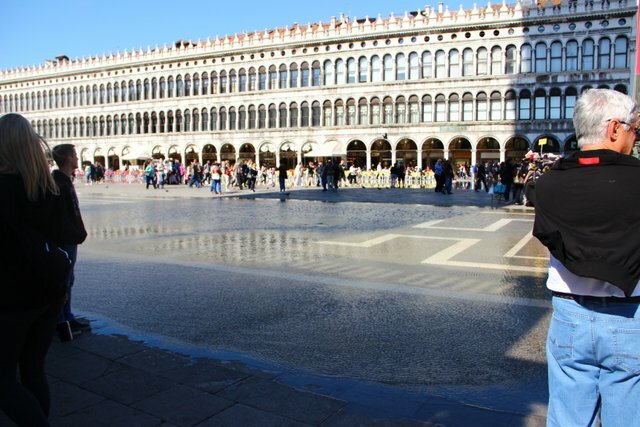 I had read about the acqua alta flooding that happens when a storm surge and high tide coincide, but didn't realize that just a normal high tide causes water to rise up into the Square, too. 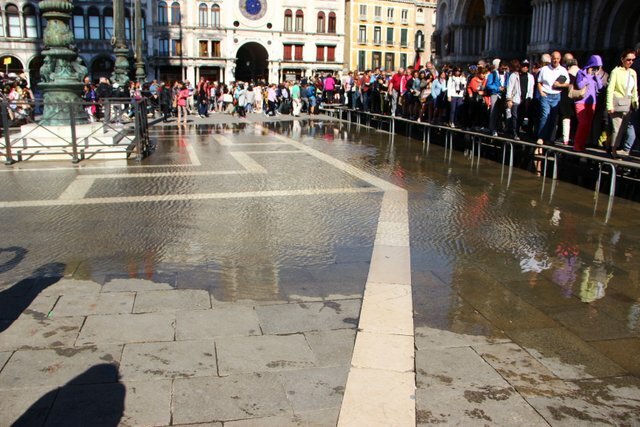 This water was ankle-deep in places making it impossible to walk across the Square without taking your shoes off. It covered some of the walkway along this arcade and seeped into a few shops as well.